The following is a guest post about long term investments. If interested in submitting a guest post, please read my guest post policy and then contact me. It does not take a financial wizard to figure out that long term investment always pays if you choose the right investment tool and processes. It is a great way to plan your post retirement life. However, long term financial planning and investment is never an easy task because we are accustomed to speedy and instant results in almost every sphere of our life. However, investments don’t work that way, save some exceptional situations. Making the transition to long term investing can be challenging but there are ways to make the shift smooth and without any major hassle. You can put a few safeguards in place to help you achieve your long term financial goals and reap the benefits of a well-planned investment strategy. One of the first things to do is to make a list of your long term financial goals and identify the investment process that will help you achieve those goals without affecting the lifestyle of your family. Once you have a clear picture of your income, mandatory financial obligations and expenses, you will know how much money to set aside towards the long term kitty. Have a close, hard look at the various long term investment options available for your specific income situation. The next step is to ensure you understand them. This is important to remain on track throughout the process and make sure that you don’t falter on the unwavering commitment that long term investing demands. Remember, the value of every form of investment will have a string of ups and downs. Depending on the market conditions, economic situations and federal policies, real estate values, stocks, bonds and other types of long term investment vehicles will fluctuate over a period of time. Your portfolio must have a fine balance of various resources and tools to manage the lows and optimize the highs. The key to success is working with an experienced financial expert who can keep a watch over your investments and fine tune them on a regular basis to keep the values on the positive side consistently. If your investments are leaning more towards real estate and properties, make sure you have proven experts from the real estate investment business to advice you so that your investments grow healthily to help you meet your long term financial goals. Are You an Educated Investor? Making smart investment moves for the long term is only possible if you are a well informed investor. Try to use your leisure time catching up with the developments on the financial front. Talk to your friends in the industry so that your knowledge base on the subject gets broader. Importantly, when you set an investment schedule, you must develop the discipline to stick to it even through financially challenging times. The hard work you do now will pay off handsomely when the time to hang up your boots finally arrives. 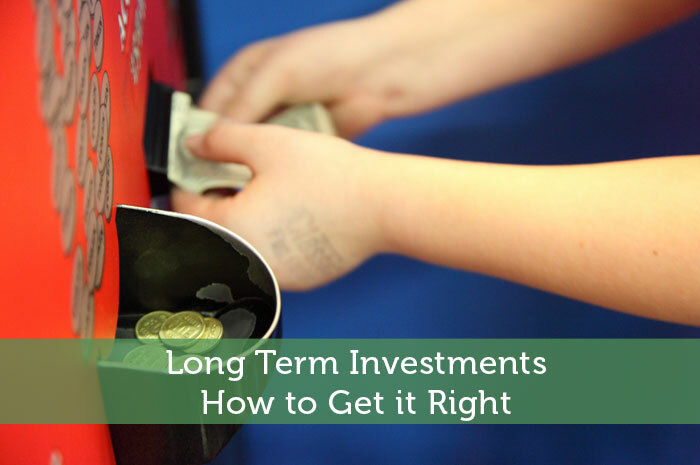 The switch from short term to long term investment doesn’t have to be distressing. The best way to do it is to pick investments you feel confident in. A good investment adviser will make the journey decidedly comfortable and enjoyable. I just started doing long term investments so this was a great read for me! I’m definitely going the route of using experts to manage my funds and have an account going with Betterment. So far its slow going but I hope that things will work out in the future. I think if you enjoy investing and can keep your emotions in check (an educated investor) then you can most likely go out on your own with confidence. But if you are someone that always buys high and sells low (giving into emotion) then you should really consider working with a professional. The benefit they bring will far outweigh the costs. I am thinking of investing into the stock market as my long term investment but I am kinda hesitant to do it because of lack of sufficient idea about the trend. This article is very helpful to me. Thanks! I’ve just started investing last week, and I felt great when I bought my first stocks. I can say that I’m a long term investor, because I don’t have plans to take out all my investment in the next five years or maybe even in the next fifteen years.